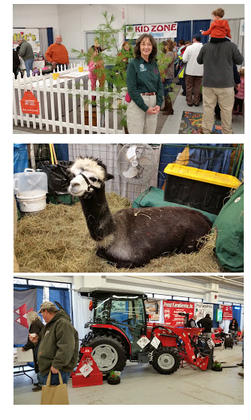 There is always something for everyone at the NH Farm and Forest Expo: it’s an industry trade show with nearly 100 exhibitors, hosts free educational workshops that are open to the public, unique NH Made products, Kidzone area with fun activities for the kids, fuzzy and furry animals, lots of networking and much more! The Expo itself is a non-profit organization, overseen by a volunteer board of directors representing agriculture and forestry interests statewide. 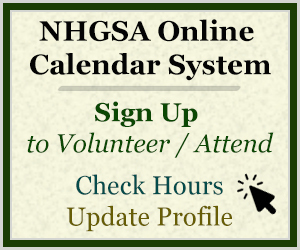 Thursday, January 31 (exhibitor load in): 9 a.m. – 6 p.m.
Friday, February 1: 7 a.m. – 8 p.m.
Saturday, February 2: 7:45 a.m. – 4 p.m. Door Counters – There will be separate entrance and exit doors this year. You will be counting how many go in and out using our manual people counters. GSAs on the exit door will be directing guests to the entrance doors. Ticket Sales/Register – Sell tickets using the cash registers. We will be accepting credit cards at the registers this year, please only sign up if you will be comfortable doing this. Parking Info for Volunteers: GSAs who are volunteering at the Expo may park in the garage at the DoubleTree free of charge. Bring your parking ticket in to the GSA Manager on Duty to be validated. Parking in the garage for exhibitors and guests can be validated in the Expo hall so that it will cost $6. If the garage is full, which often happens on Friday afternoon, there is on-street parking (free on Saturdays, except for Elm St., $0.75 per hour otherwise) or several other garages a few blocks away from the DoubleTree. Don’t forget about The Green Dash – Manchester’s free shuttle that loops downtown Monday – Friday. Orientation Information: Please plan to attend the orientation meeting on Thursday, January 31 at 1:30 p.m., even if you have volunteered at this event before. We will meet outside of the show office (the Spaulding room). Event orientations give the event managers the opportunity to address the volunteers in person with up-to-date information about the Expo. There will be a tour of the Expo hall following the orientation. Attendees will receive one volunteer service hour. Dress code: GSA uniform – Green GSA shirt, name tag, and khaki pants. Remember to wear comfortable shoes and dress in layers, since parts of the Expo Center can be chilly. Extra layers should be worn underneath GSA shirt if possible. No purses, pocketbooks or backpacks please. Fanny packs are allowed. Event difficulty level: Please expect to stand for your entire shift, unless otherwise noted. If you need to get off your feet for a moment the GSA Manager or one of the Expo Support volunteers can cover your position.